Welcome to this issue of the Carnival of the Indies blog carnival. This issue is for September, 2016. We welcome your submissions on topics related to writing, self-publishing, book design or marketing books. Alexander Zoltai presents Why Are There Still So Many People Who Don’t Have Books to Read? posted at Notes from An Alien. Sabrina Ricci presents Useful Productivity Hacks and Tools posted at Digital Pubbing. 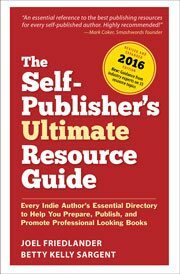 Sabrina Ricci presents A Look at Self-Publishing Success Stories posted at Digital Pubbing. Carolyn Abram presents Outside Voices and Confused Impressions or Seven Ways to Get the Feedback You Want posted at Informed Iteration. The next issue is October 30, 2016 and the deadline for submissions will be October 15, 2016. Don’t miss it! This is beyond informative — thank you SO much for compiling all this excellent stuff in one place. I’m sharing with others right now! What a great collection of articles! Thank you for doing this.